If you’re looking for a hairstyle that perfect for travel, camping, boating or beach days, etc especially good to rock in the Summer season. 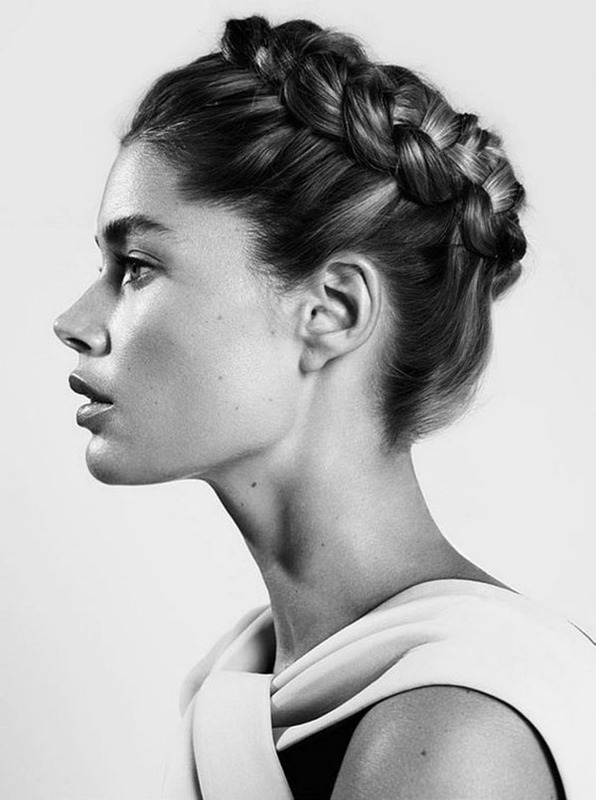 Then you need to have a check the Dutch Crown Braid Style. It’s a beautiful hairstyle for the Summer and easy to achieve. #1 Tease thoroughly the hair and then divide the hair into a deep parting on your favorite side, right side for example. 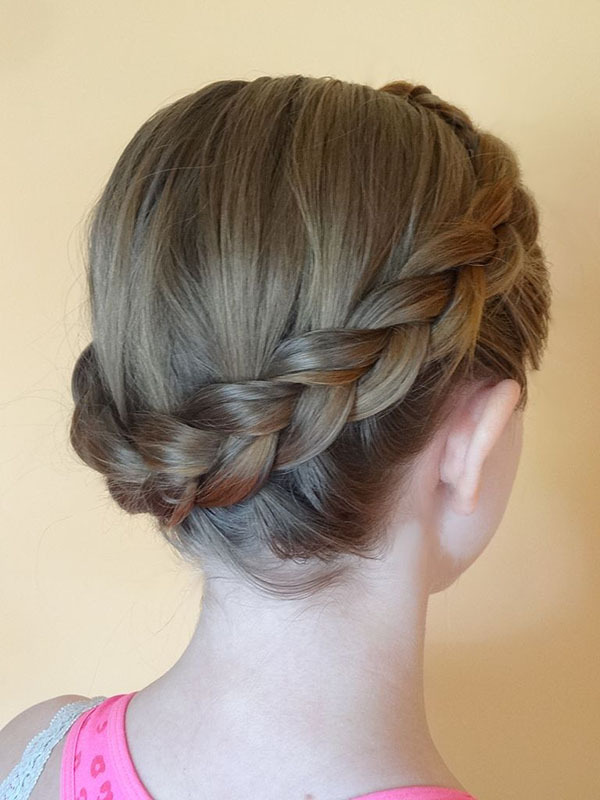 #2 Select a small section of hair from the thick side of the part and divide it into three strands for the braid. #3 Crossing the right strand under the middle strand, then cross the left strand under the middle strand to create a dutch braid. #4 Next, cross the right strand under the middle strand and pick up a new section of hair crossing it under the middle strand as well. And cross the left strand under the middle and bringing in a section of hair in the braid. #6 When the braid down to the left ear then switch hands and keep braiding and bringing in hair from both the top and the nape of hair as much as possible, braiding it towards the right side of the head. #7 While all the hair is braided in then braiding the rest of the section to the ends in regular braids. 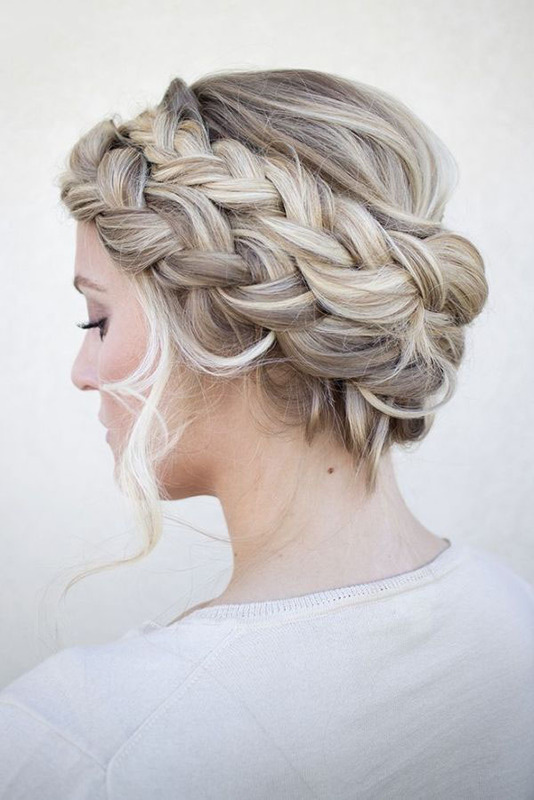 #8 Lay the dutch braid around the top of the head into a crown and secure it with pins. #9 Gently pull the edges of the braid to make it look thicker and wider. #10 Style with hairspray and smooth down the fluffy hair to make your crown flawless and pretty! 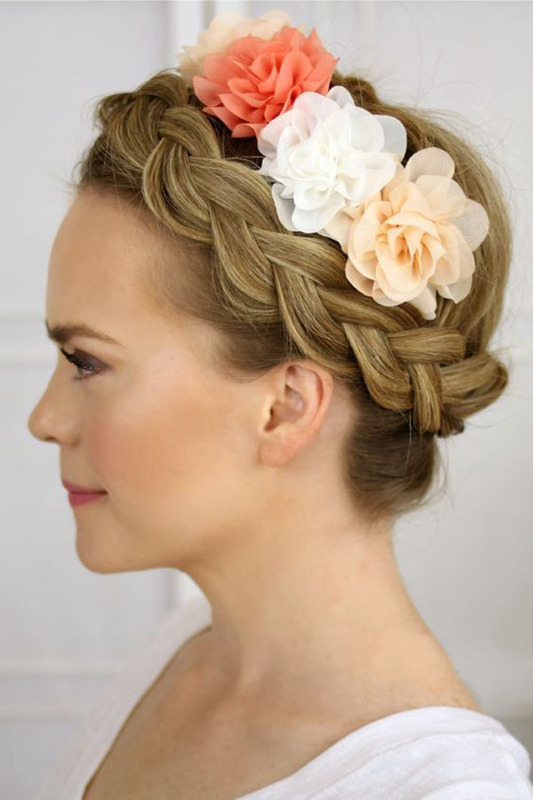 The Dutch Crown Braid Style is one of the ultimate boho chic hairstyles. With a little practice, you can pile on top of your head and be out the door with this amazing look in under 15 minutes. After securing the braids, gently pull at them for a deconstructed look. Then wrap the braids around your head using a generous amount of bobby pins to anchor in place. You can have fun with adding flowers or other beautiful hair accessories in your dutch crown. Just enjoy it!